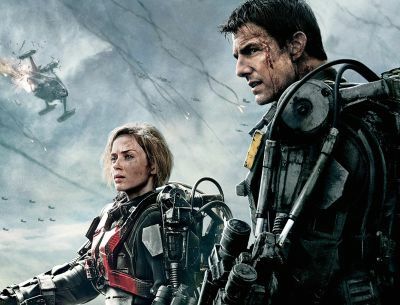 Could an Edge of Tomorrow sequel happen? Despite critical acclaim, the 2014 Tom Cruise/Emily Blunt action film Edge of Tomorrow opened to a disappointing $28.8 million domestically. The film went on to make $100 million at the domestic box office, though it cleared $369 million worldwide. Upon its home video release, it was met with an even more head-scratching fate as Warner Bros. seemingly changed the film’s title to “Live. Die. Repeat.” Through all of these odds, however, star Tom Cruise is still itching to make a follow-up. Speaking with Uproxx, Christopher McQuarrie, who co-wrote Edge of Tomorrow and directed Cruise in Jack Reacher and Mission: Impossible Rogue Nation, revealed the actor told him his idea for the film. What it is specifically though, remains a mystery. Directed by Doug Liman, the film also starred Bill Paxton, Noah Taylor, Kick Gurry, Dragomir Mrsic, Charlotte Riley, Jonas Armstrong, Franz Drameh, Masayoshi Haneda and Tony Way. The movie was based on the acclaimed novel “All You Need is Kill” by Hiroshi Sakurazaka.